We began processing payroll as part of Schulte & Company CPAs, Inc, in 1997 and subsequently formed an on-site affiliate, Rothrock Payroll Services Ltd., to meet the payroll needs of our clients. Processing in all 50 states. Certified Payroll for jobs requiring prevailing wage. Computation of complex garnishments and court ordered payments. Complete accrual processing that enables tracking of time-off accruals for vacation, holiday and sick days based on your company policies. Paper - receive professionally printed checks, pay vouchers, and reports – all delivered to your door and ready for payday. Electronic - go paperless and receive payroll reports electronically while enabling your employees to receive their net pays via direct deposit, payment card or a combination. You and your employees are provided safe and secure online access to paycheck history. WHILE OUR PAYROLL SERVICES ARE SIMILAR TO THE SERVICES PROVIDED BY OTHER NATIONAL PROVIDERS, THERE ARE SOME NOTEWORTHY DIFFERENCES. Rothrock is a full service provider. Unlike our competitors we accomplish ALL payroll related filings for our clients – including workers compensation, new hire reporting as well as reporting and remittance to retirement, health and welfare vendors that you select. Payroll related audits are an expected part of business. While our competitors routinely refer you to your accountant, Rothrock actually represents you during any inquiries from federal, state or local governments. 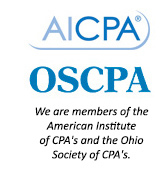 We have extensive experience in audit representation and tax negotiation and have on-site CPAs to help defend you. Rothrock doesn't’t charge separately for deletions, changes, or W-2s. Once a payroll and employee is set-up, the cost to process payroll is based solely on the number of people getting paid plus any out-of pocket expenses. Rothrock actively works to reduce your payroll expenses. We identify and recommend tax-advantaged methods of compensation, review unemployment rates, and actively assist our clients in controlling workers compensation costs.